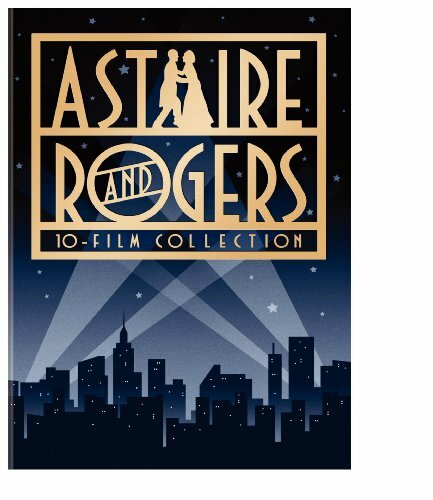 The Astaire-Rogers films mix light romantic comedy (usually centered around mistaken identities and ending, inevitably, in blissful wedding promises) with elegant dinner wear and surreal sets intended to transport '30s audiences away from the Depression to such locales as Rio, Paris, and Venice. The two stars are also aided by a recurring stable of RKO players such as Edward Everett Horton (master of the double-take), Eric Blore, and Helen Broderick. And then there's that sensational dancing set to great songs by the likes of Irving Berlin, George and Ira Gershwin, and Jerome Kern, numbers that are not merely entertaining but also innovative for their time in that they reveal character and advance the plot. Add it all up, and you have a recipe for an irrepressible joie de vivre that practically defines the movie musical. Flying Down to Rio (1933) headlined Dolores Del Rio and Gene Raymond, but it was the fourth- and fifth-billed stars who would rewrite cinematic history. Astaire and Rogers had limited screen time, but were still able to establish many of the trademarks of their later films. The heart of the film is "The Carioca," a company dance extravaganza in which they take the floor together for the first time; their eyes meet and their foreheads touch. Their dance lasts only a few minutes, but it was the highlight of the film and audiences wanted more. The Gay Divorcee (1934) is their best early picture, a loose adaptation of Astaire's stage show, 'The Gay Divorce.' The only song retained for the movie is Cole Porter's smash hit "Night and Day," which is the setting for a sublime pas de deux between Fred and Ginger. The closer is the sprawling 17-minute ensemble number "The Continental." Roberta (1935) was a step backward, with too much time spent on 1930s Parisian fashion and the romance between top-billed Irene Dunne (who gets the best Jerome Kern ballads, "Yesterdays" and "Smoke Gets in Your Eyes") and Randolph Scott. But as the second-banana couple Astaire and Rogers still get a tap battle, a romantic duet, and plenty of comic banter. With a score by Irving Berlin, Top Hat (1935) is most famous for two numbers, Astaire's definitive tuxedo setting "Top Hat, White Tie, and Tails" and the feathery duet "Cheek to Cheek." But other joys include Astaire's "Fancy Free" declaration, "Isn't It a Lovely Day," and the grand finale "The Piccolino." Follow the Fleet (1936) changes the pace a bit, with Astaire playing a sailor, and it suffers from making him and Rogers the second-banana couple to the dull Randolph Scott and Harriet Hilliard. But it still has plenty of laughs and some classic Irving Berlin numbers, including "Let Yourself Go," which Rogers sings before she and Astaire compete in a dance contest; a Rogers solo tap number; "I'm Putting All My Eggs in One Basket," their best comic dance. The pièce de résistance is "Let's Face the Music and Dance," a show within a show in which the pair dons their customary evening formals. Effortlessly flowing from pantomime to song to dance, this sublime piece of storytelling is one of the series' defining moments. Maybe their most enjoyable picture, Swing Time (1936) features the set-piece "Pick Yourself Up," in which Rogers "teaches" Astaire to dance before they break into a spectacular number; the farewell ode "Never Gonna Dance," and the Oscar-winning "Just the Way You Look Tonight," from the team of Jerome Kern and Dorothy Fields.